Happy Kitchen Sink Stamps Monday, I'm so glad you stopped by today! It's time for another challenge in the Kitchen, this months Hostess is Julie, an she's provided us with a Sketch (see below) to use along with your KSS images. 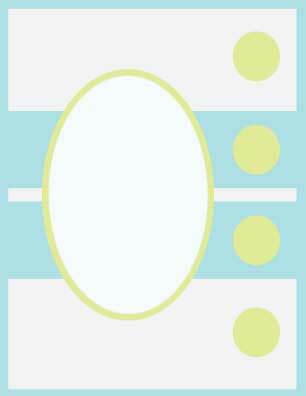 After you create your KSS card, head over to the KSS Blog and leave your comment for a chance to win some KSS Gift Certificates. We'd love to have you play along! Please note - only those cards that use 100% KSS images will be eligible for the prize drawings. I took some creative liberties with the provided sketch, and added sentiments from Kitchen Sink Stamps Vintage Words in place of the small circles. 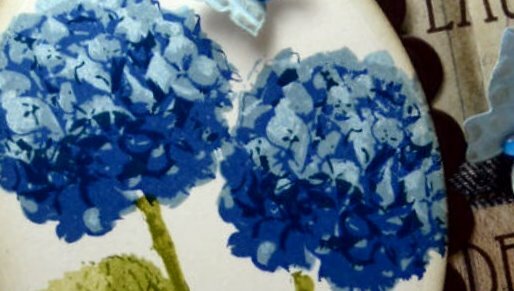 The beautiful flowers are from Kitchen Sink Stamps 3 Step Hydrangea, stamped in various shades of blue - I've created a Video for the visual stamper. See color recipe below. The colors fit this weeks Play Date Cafe Challenge (with neutrals added in), as I still had my supplies out on my desk from last weeks challenge. Of course I just couldn't resist playing with the Distrezz-it-All again, I just love the ragged edges this little machine creates! This one's for you Jan! I apologize if the volume is low in this video, I'm not sure why it was off a bit in this one. 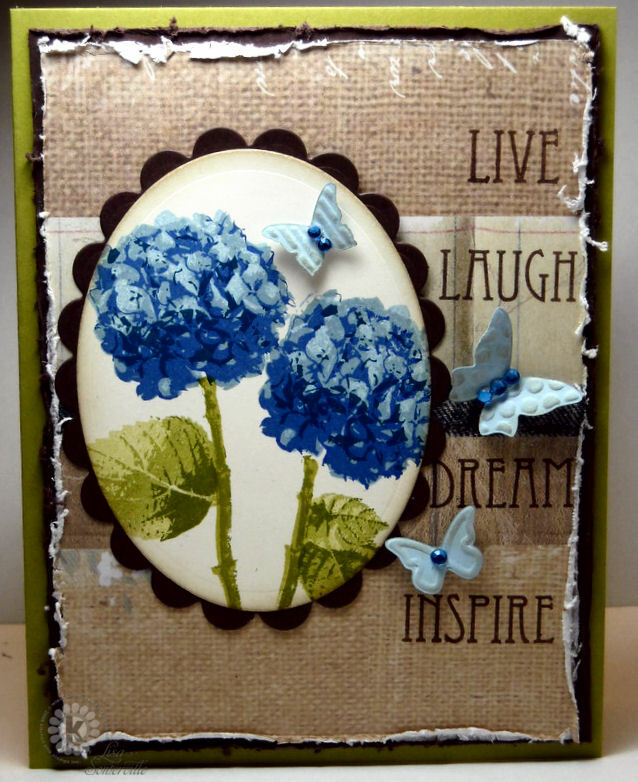 Beautiful card, and luv the distressed edges...how artsy! Another FAB video too! Lisa, you ROCK! Love these beautiful blues for your stunning hydrangea! What a gorgeous card!! That lilac stem has brought new life to the set for me as well!! I watch every minute of every video, Lisa! Thank you so much for including them each week!! Gorgeous card and I'm digging the distressing that makes too...need to watch the tutorial still. Oh wow!! This is so gorgeous, Lisa!! Beautiful hydrangeas!! The distressed edge is very nice. 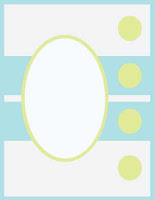 I love your take on the sketch especially you stamped the words for the circles. Oh I Love this, Lisa!! I really like how you added the sentiments in place of the circles in the sketch, and fab added butterflies!! Another wonderful video too! Love the card AND the video! I learned quite a bit from it. This is simply beautiful! Love the deep blues, the distressing and I'm definitely going to watch the video! LOOOOOVE it! I have to watch the video--love how you do videos;) YOU ROCK! Gorgeous! Love the hydrangeas and the background is a perfect complement to show off the beauty of the flowers. Those flowers look so real it's amazing! I love the words on the side of the card too, and the distressed look is gorgeous! Great and helpful video too!